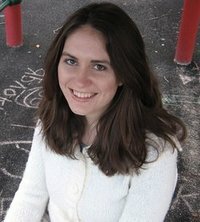 Lisa Graff is the critically acclaimed and award-winning author of the National Book Award nominee A Tangle of Knots, as well as Lost in the Sun, Absolutely Almost, Double Dog Dare, Umbrella Summer, The Life and Crimes of Bernetta Wallflower, The Thing About Georgie and Sophie Simon Solves Them All. Originally from California, she lived for many years in New York City and now makes her home just outside of Philadelphia. Which book would you give the 2015 Newbery award to? These books were chosen from our Lists, Lists, and More Lists thread.